In the office, we cheerfully call these events „Männergesangsverein“, which can be translated as a men´s choir, but that does not really give the complete meaning of the word in German (sorry, all you nice men´s choirs all around!). Of course, all these events are always about „really important“ issues – like, wow! – the management of the financial crisis, – and oops – heavy money behind! – the future energy market, and – gosh, THE real peak! – the way the EU is working or not, the big picture of the EU´s future, and so on, and so forth. But why is it that mostly men are discussing these oh-so-really-important questions? 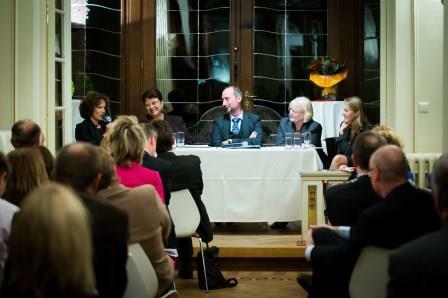 I know many excellent women in the EU´s administrative and political arena. They are there. And they make up for 52 percent of the population of the EU, by the way. One thing is the very boring format of most discussions with lenghty introductory statements and/or a series of perfect PPPs („ear and eye attacks“). But it is really interesting to note that the involuntary hidden agenda, as it seems to me after five years, is to keep women away and aside and out not only from the discussions but also from the decision making process on EU level. Of course this is done in a subtle manner, I would not at all insinuate that this is deliberately orchestrated. Part of the method is not to try to find women experts or politicians (the latter are used to talk about everything, that´s part of their job, remember!?). What happens quite commonly is to have a male podium and a female moderator. Now this is an absolutely discriminating picture you are giving in terms of gender equality. Why? Because it is the woman asking questions to the bright men knowing how to solve the problem they quite often created before (sorry to all the bright and radiant female moderators I have seen, but it is the overall sexist picture that counts at this point). Another direct effect is that women´s important contribution is not made visible, when they are not given the floor. The Brussels bubble fails completely in „doing gender“ on this very basic level. Of course that way you will leave out a big part of the creativity, the talent and the power of more than half of the experts available. Even more important to know: this leads to fundamental, systematic errors in the analyses of problems. The theory about the world is not complete, it can not be. And I will not start at this point with the problem of having discussions on gender issues and women equality issues here at the heart of the EU political scene… I will just give you a tipp to at least overcome another effect we all know: it is not only men talking on the podium, also in the audience we will observe a series of interventions by men. So use the very effective (and democratic, and feminist) method of gendering the requests to speak. Just apply the „one woman, one man“ system. Encourage women to take the floor, address the issue before the meeting to some of them you know. They will be flattered and happy to get the floor. Audiences might be irritated in the beginning, but if you make your point clear they will accept. After all, we are all democrats and feminists. O holy stupidity. How shortsighted, unprofessional and lazy can people be not to look for all the best ones to discuss an issue? I have had this so many times. You can do something about this. First, it is okay if you accept that you have a problem. Second, you can do the basic research – just google the experts, please, or use your brain, or call me. I will be happy to help you out with my women expert network. And then, try this: compose a podium of women experts and politicians on a general issue. Ask a male colleague to be the moderator. Guess what will happen? Yes. They will ask you a question they would never ask had you composed the podium the other way round. „Interesting, all these women discussing financial policy. Why was there no man?“ and then you lean back, take a deep breath, grin and answer: „So sorry, we tried our best, but we could not find any.“ This really happened to me when I once organised a discussion on cities and EU finances at Vienna House in Brussels. One of the best feminist moments in my Brusselite time! Just to say it once and then all those who would ask me „why do you bother with this women, gender, equality stuff all the time?“, please, keep quiet. I am tired of argueing that women must have a say. That it is important to include them actively on all levels of society. That men have to take their share in private life. That we need quota, not only in public institutions and administrations, but in politics and business as well. That we need to make women visible in the past and present. That the contribution of women is important.. That it would be a waste of talent not to use it. That discrimination against women, sexism, happens all the time in daily life. In the media, in schoolbooks, in arts and culture, in the economy and in private life. That is going deep under our skin and that it is hard to overcome. 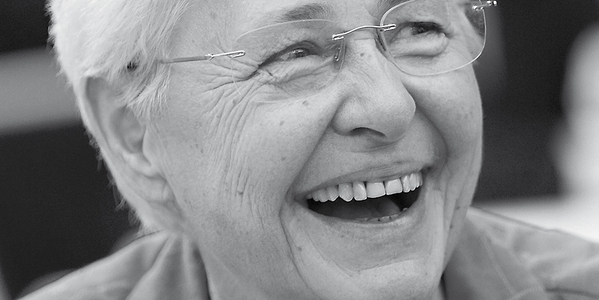 I will just quote the passed away Johanna Dohnal, inspiring first minister of women issues ever of Austria: „More women mean less men“. Because in the end, this is what it is all about. It is a power play and in the Brussels bubble, women are on the weaker side. The new European Parliament at least is a reason for hope. The current composition of MEPs in terms of gender balance and number of newcomers, shows that 2014 the share of female MEPs increased slightly from 35.05% in 2009 to 36.88%. And the EP has made clear on several occasions that it will not accept a proposal for a new European Commission with a low share of female Commissioners. And have you listened well to what was said about the proposed women candidates? The open discrimination against Federica Mogherini? Too young and not experienced… we are happy that they did not say „too blonde“. Hell, the Foreign Minister of Austria could be her sun, or so. 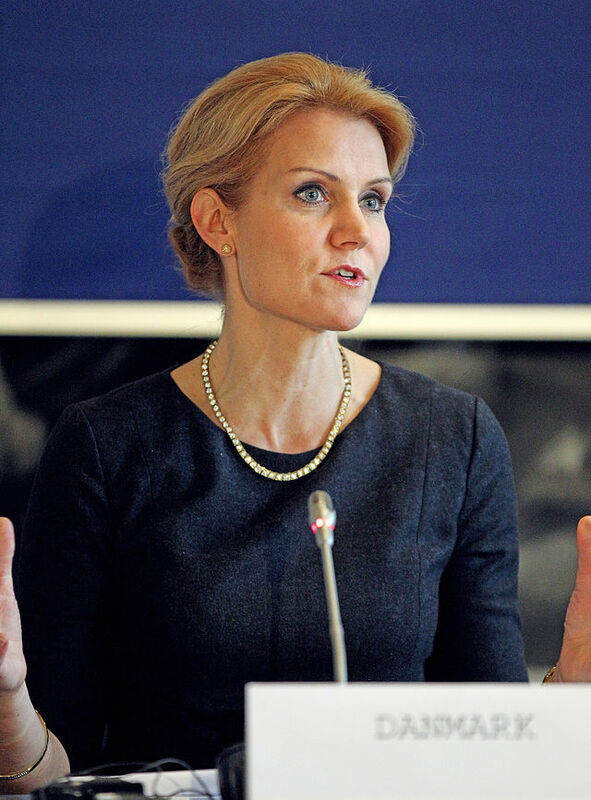 The rather subtle insults of an acting Prime Minister, Helle Thorning-Schmidt? „Is she really a power player against the other heads of state?“ I could add more examples to that, but I believe I made my point. Just imagine these women were men. What connotation would we hear in that case? This bright woman could be the next EU Council President. This is why it is so important to ask for at least 52 percent of female members of the new European Commission. And realists as we all are, we will get some 35 percent, maybe. And hey, Mr. Juncker, we want a Commissioner for Women´s Rights and Gender Equality, by the way. We need a true gender mainstreaming systematic that goes beyond blank statistical data. We want the „Youth Initiative“ to be clearly addressed to overcome traditional role models. We want the CAP to be supporting female farmers and women entrepreneurs in rural areas. We want „Horizon2020“ to encourage women scientists and their projects. „Doing gender“ is about accuracy in analyses and policy development, it is an issue of general justice for all and of a democratic society. Last, but not least, it is to question whether Europe, who wishes „all citizens“ to engage, does not have a deep democratic deficit at a point that is seldomly discussed. Because democracy only works with gender equality. 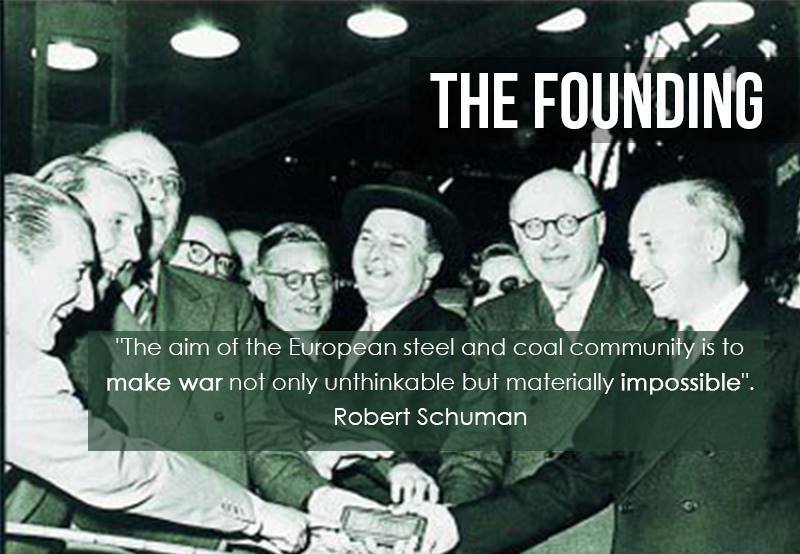 There is only one woman on the picture of the founding ceremony of the European Coal and Steel Community 62 years ago.